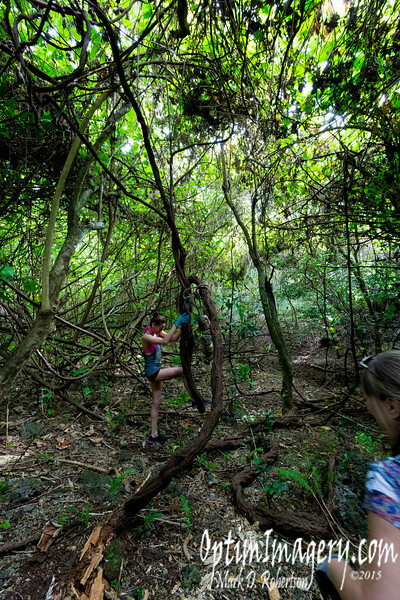 Amber checks out some vines to see if she can swing Tarzan style through the Saipan Jungle. Alas: T'wasn't attached to the over-story well enough. Guess we'll have to wait before we hear her Tarzan call.